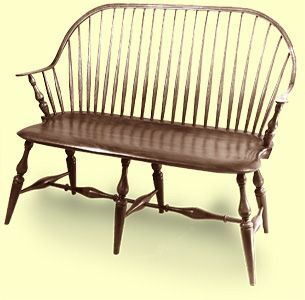 Traditional Windsor settee is made from maple, pine and oak. Like in the original, each wood is utilized in different elements for structural reasons. This piece is available in a paint or natural wood finish, and in an aged and distressed paint finish.